We’ve done it! We’ve made it to the end of 2017! This year has been an unrelenting trash fire for so many people, for a good many reasons, but over here at casa Tonks it hasn’t been all bad. When I looked back at what I’d done this year in preparation for writing this post, I was surprised at how much I’d actually achieved, given the difficulties 2017 presented. 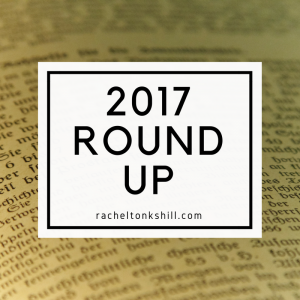 So here it is; a round up of everything writing related I’ve done this year. Way back in the mists of time known as January, I released my second collection of flash fiction, 12 Stories in 12 Hours. This was the result of a challenge I set myself back in 2016, and is worth picking up, if only to check out what happens to a writer attempting a slightly ridiculous thing. If nothing else it serves as a record of my descent into sleep-deprived creative foolishness, and I’m quite proud of it. In August I published my second novel, Whisper of the Leaves, which has easily become my best-selling work. Thank you to everyone who picked up a copy, and if you haven’t yet, please consider leaving a review on Amazon or Goodreads, it really makes a difference. I’m looking forward to sharing more of Bazrad, Elarnaud and Arcaena’s adventures with you in 2018. I also finished my third novel, Novis, which will be published next month. I revealed the cover earlier this week and I cannot wait for this to be out in the world. Details of the pre-order for Novis should be available early in the new year. I really hope you enjoy reading about the adventures of Captain Ros Lamarr and the Erebus Station Irregulars as much as I enjoyed writing about them. 2017 also saw the launch of this very website. While it is far from the first blog I’ve ever had (I had a LiveJournal way back when that was a Big Thing) it is my first professional website. It’s somewhere central for information about my books, as well as a way of keeping all of you updated about what I’m doing. Stay tuned in the new year for more of everything on this blog: more new, more announcements, more writing advice and a few new things I want to try. Of course, if you want to stay the most up to date, you could always join my mailing list, which I also launched this year. Right now it’s pretty quiet, but I very much plan on changing that. Sign up to get news and announcements hot off the press, ant I may even send a few short stories exclusively to my mailing list in 2018. At the end of 2016 I set myself a few goals, including writing at least 300,000 words and putting out five novels. It was ambitious to say the least, but based on my 2016 performance it felt doable. Needless to say, I did not meet either of those goals. 2017 was a hard year for me with my mental health, and I spent much of my energy on my most important goal; survive and be happy. I don’t consider 2017 a failure for not hitting my writing and publishing goals because I succeeded at the one I considered most important. And I still managed to write over 100,000 words and publish a novel despite everything stacked against me. At the end of 2017 I can look back and consider it a success because, while I didn’t hit my measurable goals, I still kept creating art and putting it out into the world. I kept being myself, kept petting dogs, and while the pile of books next to my bed hasn’t shrunk, I’ve kept reading. And, most important of all, I have survived. On that front, 2017 has been a rousing success. So, what do I want to get out of 2018. More of the same to be honest. More writing, more blogging, more books put out. In 2018 I want to take the focus off the sheer number of words I want to write. 2017 helped me learn that daily, monthly, yearly word count goals are something I can use to beat myself up about rather that being strictly productive. It’s much better for me to focus on the amount of time I spend writing instead. So, in 2018 my goal is to work up to a point where I am writing for around two hours everyday, and to never go more that one day without writing. I’ll start with focusing on ten minutes every day and going from there, working my way up slowly to build the habit. If I can do that, all the words and stories I want to write will get written along the way. Reading is almost as important for a writer as writing is. Experiencing new stories and learning new things is essential if I want to continue improving as a writer. This is a less ambitious reading goal than I’ve had in previous years, but I managed to read thirty books in 2017. If I can do that, I can read that many next year. In 2017 I got back into painting and drawing and honestly, it’s been great for my mental health. And it turns out that now I’m not under the watchful eye of an art teacher I might actually be good at it. In 2018 I want to finish a sketchbook for the first time in my life and do enough paintings that I have to think about selling some to make space. As always, this is the most important thing I can focus on. I’d say “just” surviving but there is no just about it. Sometimes it is the hardest and best thong you can do. And as for being happy, well, my other three goals will help with that. In 2017 I started keeping a gratitude log where I list one thing I’m grateful for everyday. It’s helped my mental outlook immensely, and I want to keep this up through 2018. But most of all I will keep being grateful for you, my readers. Without people to read my work I’m just telling stories into the void, and there is no chance I’ll ever make a living doing what I love. So thank you for reading my blog posts, buying my books and leaving reviews. I’m grateful to each and every one of you who has helped me get where I want to be, and I’m looking forward to sharing more stories together.